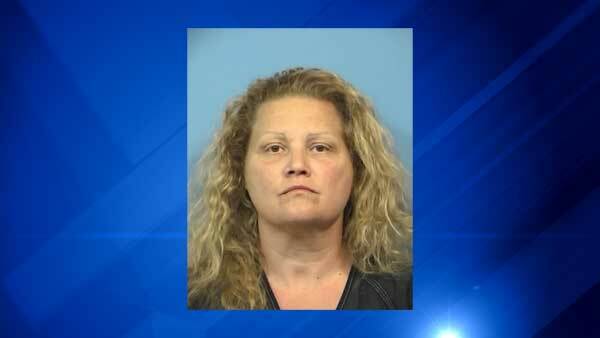 ROSELLE, Ill. (WLS) -- A woman from northwest suburban Roselle was charged in a hate crime after pulling a rifle on three juveniles and screaming racial slurs at them, the DuPage County sheriff's office said. Sheriff's police responded to a report of suspicious people in the 25w500-block of Webster Avenue in unincorporated Roselle around 8:50 p.m. Monday. Three teens were allegedly walking down the road when a man confronted them, accused them of criminal activity and took photos of them. During the argument, 49-year-old Karen Komar allegedly came out of her house, pointed a high-powered air rifle at the three juveniles and yelled racial slurs at them. Authorities said they ran home and one of the juveniles told their mother about what happened. She called the sheriff's office and reported what happened. Komar was charged with three counts of hate crime and three counts of aggravated assault.